In an important reaffirmation of the free speech, the Supreme Court has ruled 8-1 in favor of the Westboro Baptist Church. Westboro is infamous for its deranged, homophobic protests at funerals of fallen U.S. troops. 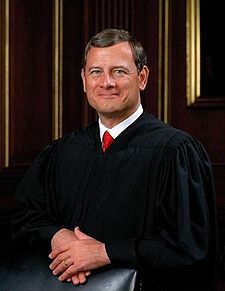 In an opinion by Chief Justice John Roberts, the Court refused to allow the universal disgust at Westboro’s views influence its decision. Only Justice Samuel Alito was willing to radically curtail free speech to punish Westboro. The father of a fallen Marine sued the small church under claims of harassment and an intentional infliction of emotional distress. I have previously written that such lawsuits are a direct threat to free speech, though I had serious problems with the awarding of costs to the church in a prior column. Respondents’ motivation—“to increase publicity for its views,” ibid.—did not transform their statements attacking the character of a private figure into statements that made a contribution to debate on matters of public concern. Nor did their publicity-seeking motivation soften the sting of their attack. It is precisely the type of extreme analysis that led some of us to object to Alito’s confirmation. (For a prior column, click here) Alito does not show how we will distinguish between types of speech that he finds brutal and acceptable. It is precisely the type of slippery slope of analysis that we sought to avoid. Alito offers little compelling analysis in erasing the bright line protecting free speech. Indeed, his conclusion appears driven more by anger than analysis. His approach comes close to a content-based approach that would deny free speech protection to those who are most in need of it. We do not need the first amendment to protect popular speech. 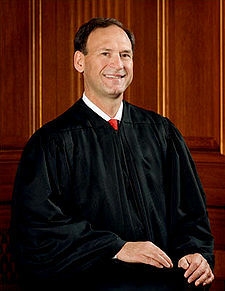 It is there to protect those who speak against the majority — those viewed as brutal and obnoxious by people like Alito. you’re truly a just right webmaster. The website loading pace is amazing. It kind of feels that you’re doing any distinctive trick. Furthermore, The contents are masterwork. you’ve done a great process in this matter! With your permission, I agree with what you wrote. Curious: If I was a mute and wanted to counter Westboro speech by carving my thoughts on their foreheads with a pen knife, would that fall under free speech? Once again, you got it wrong. Like an unwound clock is correct twice a day. And still a vicious bully. Just a little too truthful for you to handle. Buddha: you are a rabid bully. I grew up in Skokie and the residents would have been upset no matter where they marched in the Village. The Westboro members are there only for the publicity, but they have the right to make jackasses of themselves. And they are always successful in looking stupid. a very large blank sign, get right in the middle of them, but interact with no one. Thank you for the info, most appreciated.